Treatment: marginal surgical excision. 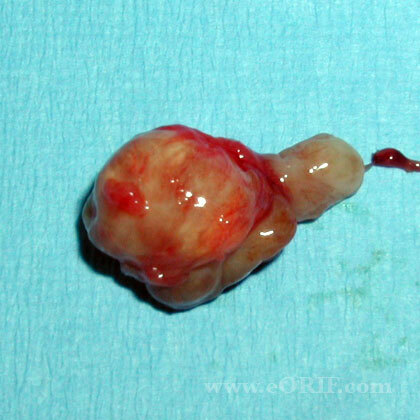 High recurrence rate. Affects epiphysis: distal radius, metacarpal head. 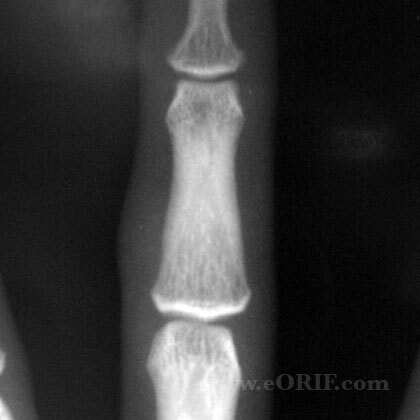 Xray: expansile, lytic lesion with indistinct borders. Treatment: curretage with bone grafting. Consider polymethacrylate cementation, cryosurgery, cauterization. May require en bloc resection +/- allograft reconstruction / wrist fusion. Generally occurs in subungal location. Treatment: Excision. High recurrence rate. Generally result from penetrating trauma, trapping epithelial cells in the subcutaneous tissues. 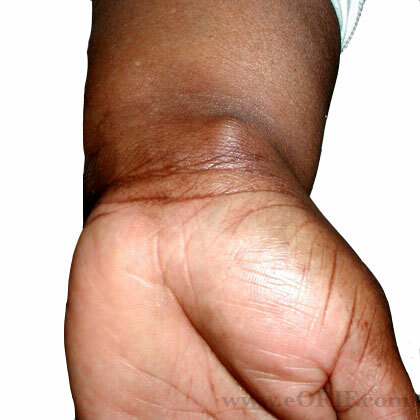 Most common benign bone tumor affecting the hand. May have thinned cortices which fracture with minor trauma. 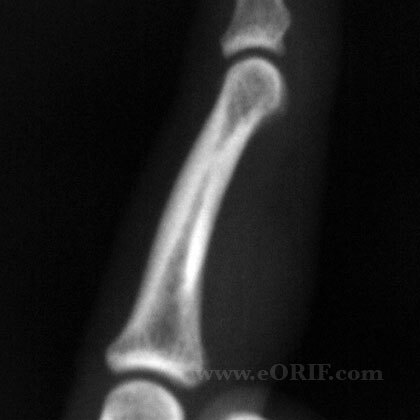 Pathologic fracture of enchondroma of the hand generally treated with immobilization to allow the fracture to heal followed by curettage with bone. Jacobson ME, Ruff ME. Solitary enchondroma of the phalanx. J Hand Surg Am. 2011 Nov;36(11):1845-7. Sassoon AA, Fitz-Gibbon PD, Harmsen WS, Moran SL. Enchondromas of the hand: factors affecting recurrence, healing, motion, and malignant transformation. J Hand Surg Am. 2012 Jun;37(6):1229-34.